A fantastic conclusion to wonderful trilogy.Eden is at war but does the citizens of Eden realize it until the Vortex soldiers blow up the gate, of course not. Justin and Ian have to take on Doc Phillips because of past choices made. The Rovers find a new ally and just in time. Kate and Ian make life changing decisions. This is a must read in the Arrows Flight series. It wraps up all of the lose ends. I have loved this series from the beginning and this final (?) installment does not disappoint! I love reading dystopian books and I love that the author incorporated the Bible and Christianity into it. What a unique viewpoint!As with the first two books, there was plenty of action, emotion, heartbreak, introspection....this series definitely makes you think! I tend to be a very fast reader, but this books required that I slow down and really digest what was happening!Lovely book and lovely series! Thanks, Ms. Casey Hays, for an awesome adventure! 3.6 stars We get to know more about the Serum; a scientific explanation about how the Serum works, why it was created in the first place, etc.And a lot other questions were finally answered(because it is the last book ha)All those secrets, man. I've never been a fan of MC-becomes-amnesiac-and-forget-all-about-the-most-important-person-of-their-life kind of story because it reminds me too much of Malay&Indonesia drama that's very predictable since almost all share similar plotline(brain tumor,amnesia, switched babies etc) so I'm a bit disappointed Kate becomes amnesia and forgets all about Ian. I just don't understand the purpose of that, and even though its a small part from the book, it's still frustrating having to read how Kate tries to and confirm her feelings towards Ian and relive most of her memories all over again. Like why? We already know how much they love each other, how she and Ian feels about Tabitha , about Eden and the toxic, etc. you don't have to tell me about it again. Maybe I'm just being bitter haha. I expected more action and focus on the war, and I definitely didn't expect the plot to involve so much about Kate and Ian finding their way to religion. So I'm quite disappointed.My belief is different from the author, but I'm impressed by how the author manage to deliver her belief through this book. I don't like how the style of the story changed. There is a better way to deal with a Christian theme than preaching. The conversations felt inorganic - lines delivered one after another as if one person was speaking to the reader. I don't take umbrage with a Christian theme. I think it is honest and bold. But the execution was so awkward. And the baptism scene was a little corny. But, the story itself (minus all the preaching) was well put together and well handled. Mixed Emotions While I did like this book the ever changing view points from Ian and Kate left me feeling like i missed out. I did get to enjoy seeing Ian's love for Kate. I love a boy who can cry. Another down side there was SO much Christian every thing in this book it was overwhelming and I say that being a Christian myself. To much for my liking/sorry. Interesting ending, I didn't see that one coming. Will I be continuing reading as more of the story unfolds??? YES! This is the last installment of the trilogy and I honestly just wanted to know what was going to happen with Ian and Kate. I am not a religious person and this book had too of it for me. I knew going in how it would be but at the end it is all piled on. Nonetheless, the story was well told and am happy with how it all turned out. After the ending of the last book I immediately jumped right in to Master. A faith centric wrap up to the immediate story, and probable jumping off point for further storylines. This book has quite a number of twists and turns and fills in the missing pieces of the story. We meet even more characters that become integral to the story almost immediately. Overall quite an interesting way to wrap up this dystopian set story using faith as a motivator. Full of love, fear, and faith! The cliffhanger we were left with was intense! But we start right where we left. Ian is scrambling to save Kate and will do anything to get her the help she needs. This is where it gets intense. There is a ton of stuff going on with an impending war and the truth coming out about Eden. Ian is going crazy trying to be in two places at once...back home and with Kate. They are welcomed with open arms in Jordan and seek the help they are searching for but what they stumble upon is a higher power. Kate and Ian are both shown a kindness by the people of Jordan and ultimately they want to help save them but they get more than they bargained for. For the most part the story is full of action with the right amount of worry, love, and fear. This is a Christian dystopian novel and sometimes the internal struggle that Ian and Kate both have with the higher power is a bit exhausting but it ties everything up perfectly at the end. Both are faced with many hard choices and challenges but with the help of new found friends, and old ones of course, they are able to move forward. The ending is not at all what I was expecting...in the slightest bit, but I think this pulls the entire series together. I am looking forward to the novellas to come so we can dip into Kate and Ian's lives a little more. They are truly loveable characters! Intense book!Wow! What a way to wrap up this series. It was great to spend more time with Kate and Ian while they discovered truth, faith, and purpose.Master is an action packed book from beginning to end. War has come and the characters I’ve grown to love are thrown in the thick of it. Woven through the text is a message everyone hear, ponder, and seize hold of. Hope is a big part of it, even during devastation.There are some wonderful new characters and more of the ones I already loved. The story will grab ahold of you and won’t let go, even after you turn the last page. The ending is bittersweet and full of hope for the future of these characters. It’s definitely a new beginning for them. I look forward to reading the novellas that round out this series! I was blessed with a free copy of this book, and have chosen of my own volition to share this review with you!The sage continues. Leaving the Village behind, and venturing towards Eden. Love and loss is key in this text. Finding love, loosing love, finding love yet again! The story culminates with the finding of True Love (God's Love), along with the desire to share that love with others. The story line continues back and forth between Ian and Kate. Each shares their views on what is going on. It is a perfect melding of he said, she said! Overall this is an excellent series, and I highly recommend you give it a read! Great bookFinished off the trilogy, yet left you wanting more. Plenty of action and romance for everyone. Finally got some answers but still have some questions. I am having a hard time writting a review on this one...I really liked the first 2 books, Breeder and The Archer, but this final book in the trilogy was less my "cup of tea". It was different than the first two. First of all, there is a lot of Christianity in this book. The first 2 books started each chapter with a Bible verse, so it's no surprise that the author is a Christian. I just felt that, at times, this was forced and a bit preachy. One of the main themes for the hero, Kate, has always been her searching for something - some kind of higher power, so for her character her quick conversion to Christianity made sense. It made less sense for Ian, who has never really expressed a desire to figure out the meaning of life. I respect the author for trying to write a dystopian novel with Christianity, but I personally don't choose to read Christian fiction - I'll stick with the Bible or non-fiction theology books. But that's personal preference. The other thing that threw me was the "science" - I got a bit confused at the end with the explanations of how the Serum worked. I may have purchased an early copy, but there were more than a few spelling and typo errors in the second half of the book. Nothing pulls me out of a story quicker than that!All that being said, I still rated it 4 stars as I have come to know and love these characters and to care what happens to them. The first half of the book moves quickly, as Ian worries whether or not Kate will recover from the injuries she received at the end of the last book (talk about a cliffhanger!). The 2nd half moves slower, as the characters mull over Christianity and how it fits in their lives, but the ending is true to the characters. Glad to hear this isn't the last we will read of Kate & Ian! So, I have a lot to say. From a writer's point of view, I admire Casey's writing so much. And just like in Breeder and Archer, Casey writes with beautiful descriptions and imagery throughout Master.From a plot point of view, I had a really hard time loving where this story ended up. And sometimes that happens with series. The thing I had the hardest time with was how much internal dialogue was going on with Kate and Ian. 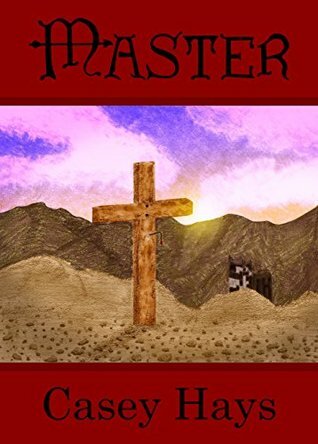 I wanted more action and less personal reflection.However, for how entrenched this story is one's personal conversion to Christianity, the internal reflections made sense.As for the Christianity plot, I personally don't have any problem with Christian fiction. I'm a Mormon Christian, so I'm very familiar with Christian beliefs. However, I don't like reading Christian fiction because the lessons the characters have to learn or the problems they have to overcome tend to be blatantly obvious to me. So I get impatient with their personal journey. On that same note, I don't like to read Christian fiction for my personal religious teaching. If I want to be preached to, I like to read from the scriptures themselves. That's just my personal preference. Regardless, I admire Casey's personal beliefs and applaud her sharing her personal testimony in her writing. However, as for the Christianity plot within Master, it was so unexpected because of where I thought the series was headed from reading Breeder and Archer. But maybe I was missing the regions undertones throughout. So overall, I didn't LOVE Master because I wanted a different ending for Kate and Ian. I admire Kate's desire to dedicate her life to God. But I don't think that meant she had to sacrifice her love for Ian to fulfill that purpose. What an amazing series! I am more than a little sad that it’s over, but am very pleased to know I will get a little more here and there in the future novellas. When Archer ended, I was heartbroken and I thought for sure a certain someone was dead. I was crushed and didn’t know what was going to happen in The Master. But I was pleasantly surprised at how things went down in this final book in the series. Don’t be fooled, there is a ridiculous amount of ups and downs, happy and sad, hopeful and hopeless moments, and plenty of jaw dropping shocks packed in here. I loved everything about this book. I love how they author worked in the gospel and the love of God, I love how she had the different characters come to find Jesus in a way that didn’t feel forced or faked, and I love how perfectly she weaved the story with the plan God has for all of us. This book finishes off the series in a way that wraps everything up and answers all our questions, but still leaves you wanting more, and just enough of an opening to give us a little taste here and there with the promises of stories from all the characters we’ve come to love in the future. Nothing but goodness here! I really enjoyed the first two books in this series and was looking forward to seeing how it was going to end. Although in the main part I enjoyed this book, there are a few things which slightly put me off.This book has a very strong religious message running through a lot of it. I am not religious, but I understand that a lot of people are. As much as I understand that the story needed the introduction of religion to allow the characters to move on as the author wanted them to, I felt that it became a larger part of the story than I wanted it to. That is my personal opinion, not everyone will feel the same.As far as the story itself goes this one focuses a lot more on Ian and his new found friends. We find out far more about why Eden has found itself in the situation it has, as well as about those trying to get inside Eden. What Ian and Kate went through in the first two books doesn't seem as promising in this book, but there are ways and means to get through any situation as this book proves.The ending wasn't quite what I expected, and the promise of something more to come pleased me no end. A good read but a little too religious for me at times. Kate and Ian's journey continues in this series finale. The Archer left us with a cliffhanger. Kate had been shot in the chest and fallen into the river. We find Ian doing whatever it takes to get Kate to Jordan to save her life. When Penelope was able to save Kate is when Ian and Kate's spiritual journey begins. They find that they believe in something higher than themselves and use their faith to fight a war. Overall I really enjoyed this series. I liked all the characters with Justin and the Serum being my two favorite characters. I liked Justin because of how calm, rational, strong and a great leader for the Boys of Eden. I enjoyed the Serum as a character because it is the focal point of everything and easily overlooked as a character. There were new characters introduced who added a new dynamic to the series. This book flowed nicely but almost took a different flow from the first two books. There was so much that happens that it is hard to believe it fit in one book. I feel emotionally exhausted in a good way after finishing it. I look forward to reading the novellas that will follow up with some of the characters. I hate to give it 3 stars because I loved the first 2 books, but I struggled to finish this one...I know it's a Christian series, but for someone that is not religious, the amount of God's references were too much. I wanted to know how the story of Ian and Kate ended and I was happy to meet new characters, but I was honestly scared to start a new chapter since the religious references were more and more and eventually took over the book.I wish there was more action and general plot and less evangelism.I still give it 3 stars because I knew what I was getting into when I started reading this series, I knew there were going to be christian topics at the end, and I loved Kate's story from the beginning, I just didn't expect so much of it. When we last left Ian and Kate, Kate was hurtling over a cliff as Ian watched helplessly. Thankfully Casey Hayes’ third installment of the Arrow’s Flight series, Master, picks up right were The Archer leaves off. As Kate fights for her life, Ian prepares to fight for a way of life, quite possibly a way of life he no longer trusts. Master is a much more introspective book than either Breeder or The Archer, weaving Kate’s search for higher meaning with Ian’s search for the truth about himself and Eden. Action packed with a dynamic point of view and creative storyline -taken as a whole- this series tics every box necessary for excellence in young adult genre writing. This story has a very different feel than the first two. We're taken deeper into the inner workings of Jordan and why they are able to go on with their lives so freely, happily in the midst of so much hardship. Eden is made to answer for their 'sins' and it's not a pretty sight. There is an almost preachy tone at times, so be warned that there is plenty of biblical references and basically a whole plan of salvation is laid out within the storyline. Also, quite a bit of violence and fighting, but nothing overly graphic. Looking forward to the upcoming continuation of this series. What can I say? It's over? Its not over? I had a harder time getting through this last book, not because it wasn't as good as the first two. I think I just didn't want it to end. But the thing is, did it? I understand why the ending needed to happen. They're still young and have their own responsibility to take care of. Everyone has grown so much in a short time frame. I just want more! Casey certainly has a way with words and many of her quotes are amazing! She truly cares about her books and characters. I can't wait for more of this incredible story to unfold. This final book in the series takes on a different tone then the first two. Still an interesting story. As mentioned in other reviews this is heavy on the religious sentiment. The author wants you to feel the climax of Kate as she finally finds what she has been looking for in finding God. If you are not into reading about a story that Christianity will result in taking center stage, then you may not enjoy this read. I thought it was an interesting story either way. A couple of things...first, I don't give 5 stars. LOL, how could I not here! I, also, hate hate hate Novellas. No, THIS isn't a novella. However, this ends soo great that I can't wait for a couple of them. :-DThe action of book 1 & 2 is nothing compared to this one. Just Wow, Awesome! Has some great analogies as well...think Chronicles of Narnia. :-)***Spoiler***Nephilim & Nanotech in one book? Yes, ma'am!! Second book does not disappoint!I was so excited when I discovered the sequel to Breeders had come out! I dug right in and was not disappointed! I was pleasantly surprised at the references to Yeshua and could not put this book down. So much action, fast paced, engaging. A book I can suggest to friends and family without hesitation. Finally, a fresh dystopian series worth reading! I can hardly wait for the next book. So glad I stumbled upon this author. Wonderful ending to a beautiful series, Ian, Kate and the rest of the characters have gone through hell and back, fighting a war, and finding out about themselves and learning of God. They find family and long lost friends along the way. What an awesome series; Breeder, The Archer and Master. I am patiently waiting for The Scent of Lilac coming summer 2016, a continuation of the story. If you do nothing else, you must read this series, you will not be disappointed. Thank you Casey Hays!!! Master: Arrow's Flight #3 I have thoroughly enjoyed this story. I am looking forward to the follow up books for continuation of the storyline.Editing is still an issue, and a closer look at that would only enhance the storyline.